If your break begins within 5 days of your booking there is an £25.00 Late Booking fee which is Charged by Bulins to setup passes. infants up to 23 months are free. 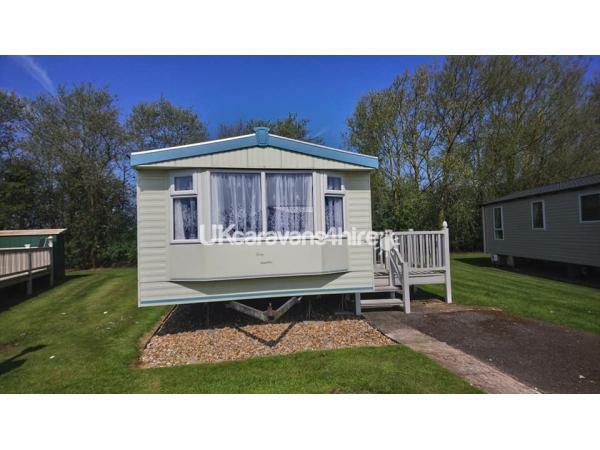 A 3 bedroom Atlas florida 35ft x 12 ft caravan, which can sleep up to 8 people 1 double bedroom and 2 x twin bedrooms and a double pull-out in the Lounge. 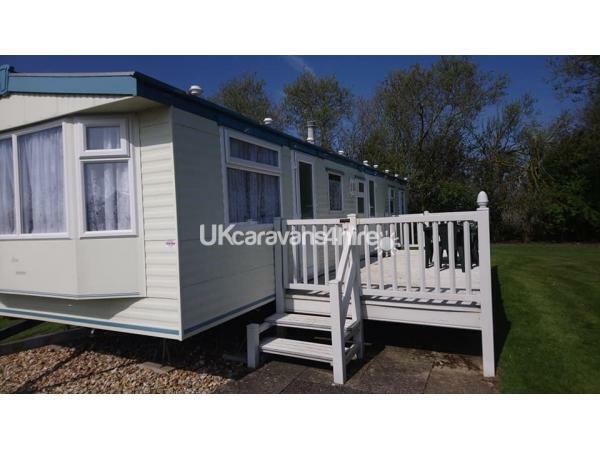 The caravan is located in a quit part of the park the sandhills with only a 5 minute walk to all the main attractions, there is a lovely grass area for kids to sit and play with table and chairs for you to sit out on whilst enjoying the sunshine and having a nice cool drink. A very spacious lounge fully carpeted giving a modern airy feel, plenty of seating providing plenty of room for all the family. 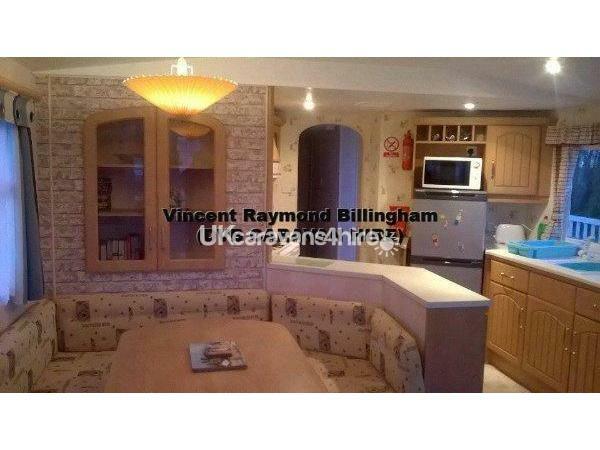 Incorporating a dinning area with wrap round seating for all the family meals. 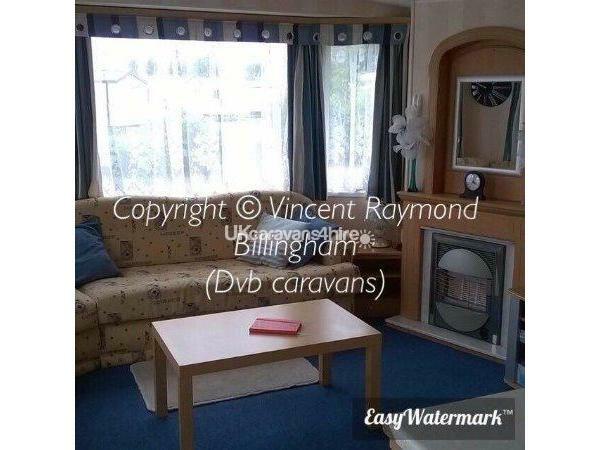 The caravan has a large flat screen TV with built in freeview, there is also a DVD player and a CD/radio stereo. 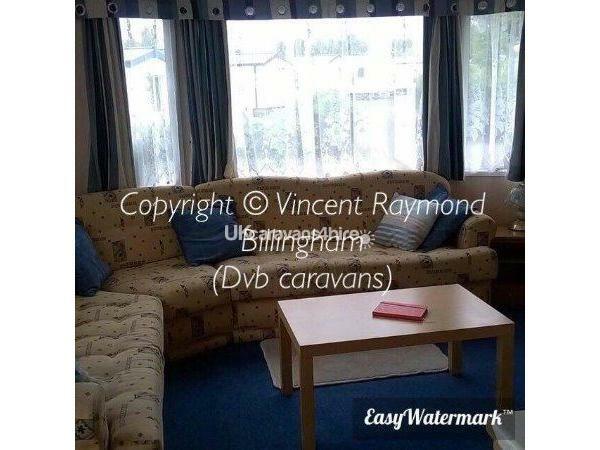 with a selection of games, books, and DVD's to suit all tastes and ages just for those nights or days when you just want to sit and relax.The open plan kitchen is fully equipped with everything you require for your Butlins self catering holiday/ break including microwave, fridge freezer, toaster, kettle, pots & pans and all the cutlery and crockery etc. 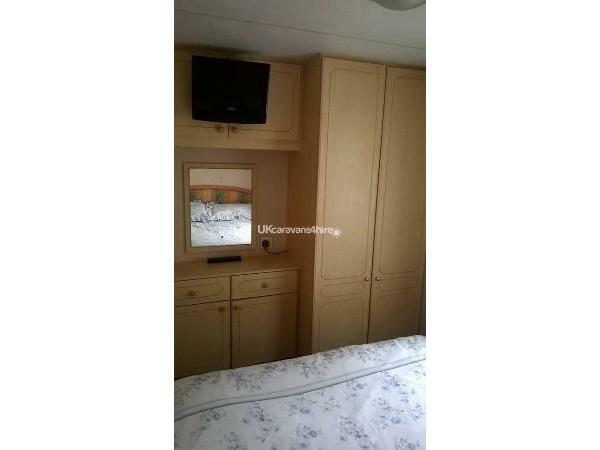 The master bedroom consists of Double bed, Double wardrobe , bedside cabinets, Dressing table and mirror, overhead shelving, Panel Heater and a flat screen TV with freeview fitted. 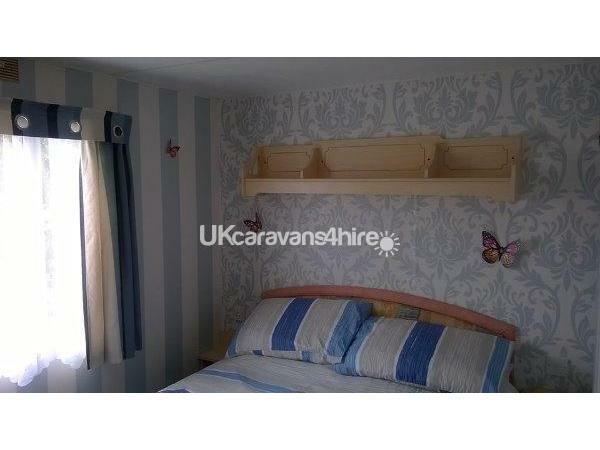 Bedroom 2 is fitted with 2 single beds with overhead cupboards and shelving, large cupboard and a Panel Heater. 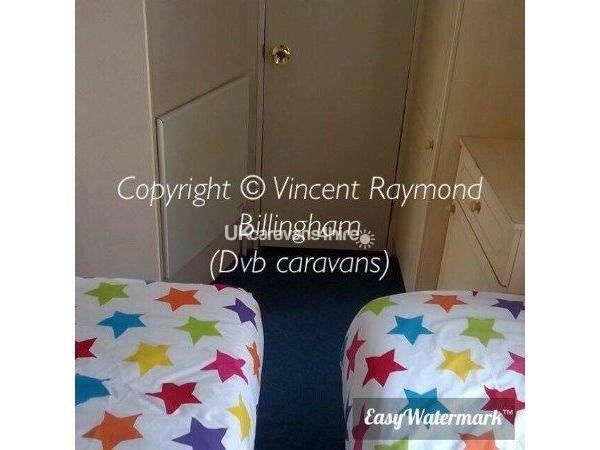 There is also as you enter the caravan in main entrance another Separate Toilet and Hand basin Ideal if you have kids or just a full house. 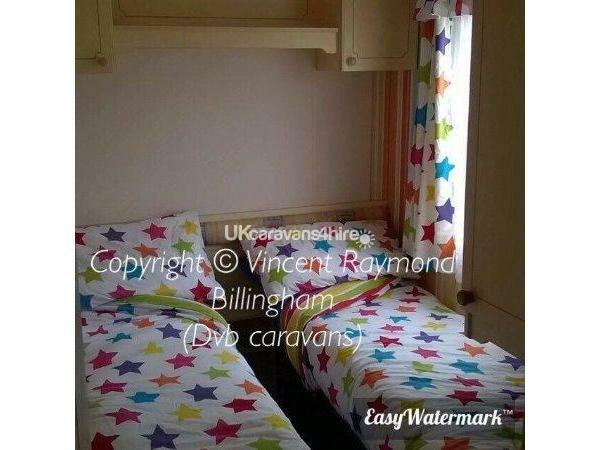 For your safety the caravan is fitted with a smoke alarm, carbon monoxide detector, fire extinguisher and fire blanket. Butlins is within easy walking distance of Fantasy Island and and all its rides and attractions and all the huge markets. There is so much to do on Butlins the sky pavillion is at the centre of the attraction as is all the amusements. there are shows for the little ones plus Bars, Restaurants, Cinema, Ten Pin Bowling and Sky TV for all the football etc. Just out side the Pavillion you will find the Free Funfair, Outdoor Activities, Go Karts, Bob the Builders Yard, Outdoor Play Area, Trampolines, Amusements, Adventure Golf, Soft Play Area, Prize Bingo, Hire shop etc, there is also a Ofsted Nursery, Lazer Quest, The Spa and so much more. with Bob the Builder, Fireman Sam, Barney, Angelina and Pingu to keep your little ones happy throughout the day. You can either dance the night away in the Reds or The Centre stage and meet all the Red coats, See celebrities from the X Factor or watch shows like scooby doo for the kids. Big Name Acts like Diversity are returning again for 2017Season Plus Many More top Acts. or just simply relax in the Bars in the Skyline Pavillion. There is Entertainment Galore for all age groups all the time at Butlins. Prices start from £275.00 up to £850.00 per Break this includes passes for up to four people 2 Adults and 2 Children. Additional passes can be Purchased. 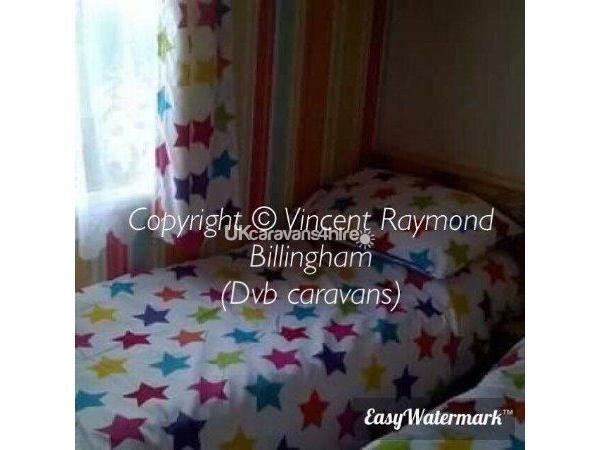 Please Note this is a Non Smoking Caravan and we do not allow pets as we have found that there are lots a people out there with pet allergies. Additional Info: As with all Butlins sites once you have paid for your holiday you get your passes which allows you to use all facilities on there site.